Level entry showers. Curbless showers. Handicap showers. Barrier free showers. No matter the name, the concept is the same. 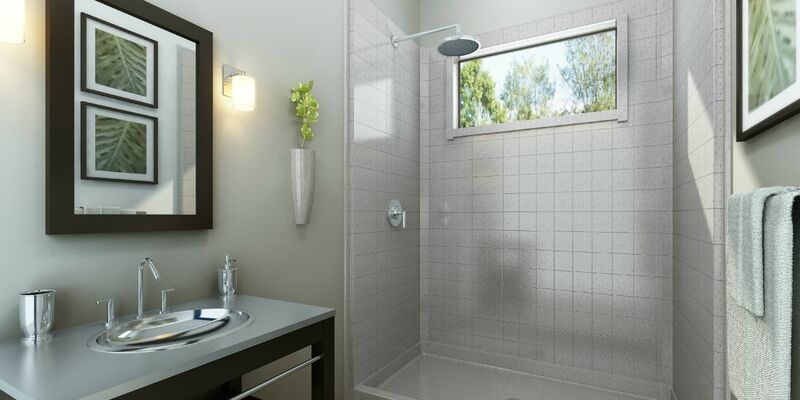 Custom tiled shower or modular tub to shower unit, a barrier free bathing space with handicap safety grab bars and wall mounted fold-down seat is an affordable investment in safety. Please call us for free suggestions on how to further reduce the risk of a fall! Did you know? That among the elderly and the handicapped, injuries from falling most often occur in the bathroom? And did you know? 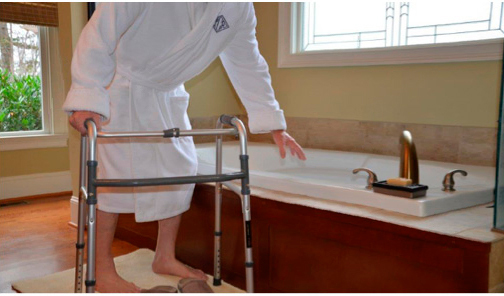 The most common complaint from seniors and the handicapped is the inability to access a standard high-walled bathtub? 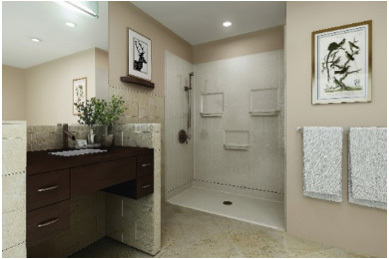 Our showers set the standard for safety, durability, and beauty. As attractive as they are durable, these barrier-free showers provide the access you need without sacrificing aesthetics or functionality. Manufactured right here in the USA, the composite wall systems of our units incorporate a plywood core between layers of composite laminate and are finished with a tough, industrial marine gel coating. This solid wall system enables total freedom in placement of all accessories including seats and safety bars to meet individual needs. 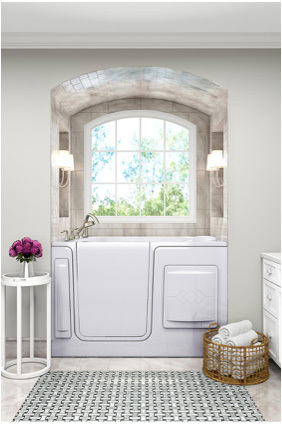 Our line of innovative walk-in tubs are designed for safe, soothing, and accessible bathing. Twice the depth of normal tubs, they have a comfortable contoured seat, a grab bar, and a non-skid floor. Therapeutic jetted tubs are available, along with an optional tub surround to fit seamlessly into your current bathroom surround area. The installation of ADA approved safety grab bars is one of the most fundamental changes you can make to enhance your safety in your home. 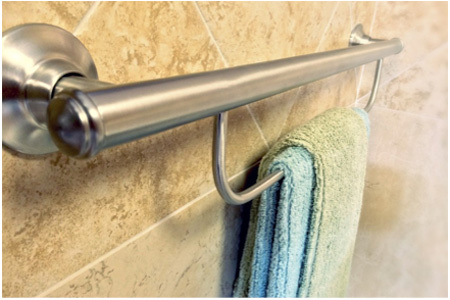 Whether adjacent to your toilet or lavatory area or on your existing tub or shower walls, grab bars, professionally installed by Free Spirit Mobility, significantly reduce the risk of falling.